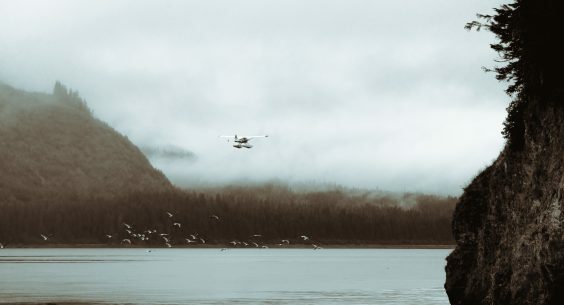 This is the first time I witnessed the sight of seagulls chasing after a seaplane. It was quite a sight to see as they did it every time a plane took off on it's return flight to Juneau. Shot with the Sony A7rii and Sony 70-200 f4.